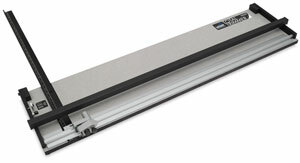 Logan’s large-scale 40" trimmer is ready to cut virtually any flat material that can be trimmed with a straight edge. Foamboard, illustration board, matboard, watercolor paper and more are downsized quickly and accurately. 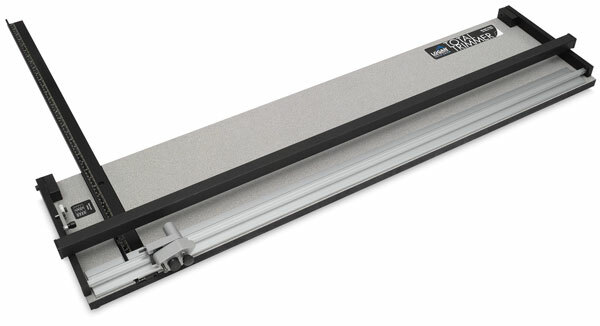 The T300 features a 27" scaled squaring arm and pull-style cutting head. Its adjustable blade depth cuts material up to ½" thick. A quick-release pivot head resets at the end of the cut. The T300 uses #267 replacement blades. For all your cutting needs! Logan's large-scale trimmer is ready to cut virtually any flat material that can be trimmed with a straight edge. Foamboard, illustration board, matboard, watercolor paper and more can be cut quickly and accurately.